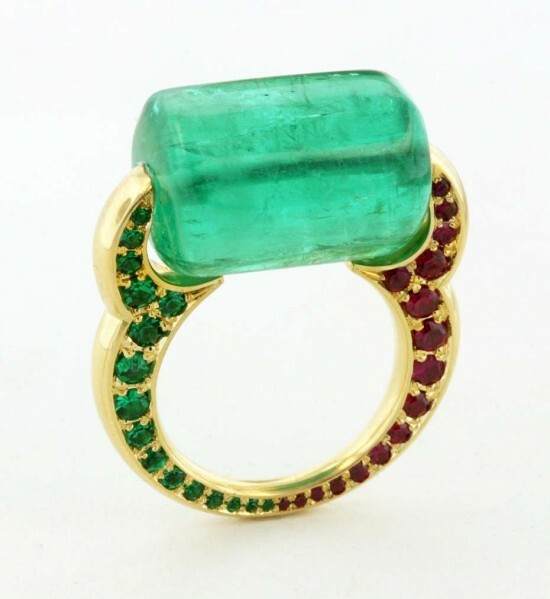 Over the past period, Claire Deva-Rakoff presented a series of jewelry watches from the well-known line of Attrape-moi, as well as the Liens High Jewelery ring line. But as a matter of fact, Hortensia can be considered its first major, made from scratch work for the house of Chaumet. After all, Attrape-moi, and even more so Liens are collections that appeared in Chaumet before the arrival of Claire Deva-Rakoff. The presentation of Hortensia jewelry took place in the Chaumet Museum, located on the second floor of the brand’s flagship store on Place Vendome, house 12. Like any other line, the new Hortensia series is closely connected with history, with the archives of the venerable and influential jewelry house, which is often called ” France’s most state-owned jewelery house “because of its proximity to the court of Napoleon Bonaparte. During the presentation at the Claire Maiden-Rakoff Museum, she showed drawings of Chaumet floral jewelry, brooches, jewels for the head, necklaces made in the 1880-1918 period. According to her, the floral theme from a historical point of view is as characteristic for Chaumet as the style marked by geometry. Claire Maiden-Rakoff says she chose hydrangea for several reasons at once. “I liked the nature of this flower, its composition, free, but at the same time structured. In addition, the hydrangea flowers are rich in shades, here and white, and pink, and lilac, pale blue,” – says the designer Chaumet. The Hortensia de Chaumet collection is divided into three, approximately equal in volume parts, which are connected with each other by jewelery and floral subjects, but are divided in terms of palette. The first part is decorations of white and pink hues, the second is things in a classic white and blue tones, and the third is jewels of strawberry and caramel colors. In Hortensia there are necklaces, sotuaries (these are jewelry-transformers), bracelets, including a cuff, earrings, rings, as well as a pair of jewelry watches, including a tourbillon mechanism. 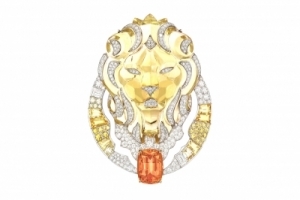 Pink, black and white gold, opals, red tourmalines and red garnets, rubies and rubellites, pink tourmalines and pink sapphires, white diamonds, tanzanites, blue sapphires and very popular lapis lazuli are used in jewelry and jewelry watches of the line. All things Hortensia are asymmetric. From the point of view of technology, the most important thing in Hortensia is that the various elements of these decorations are located on different levels. And from a variety of small floral details there is a moving, flexible, precious “canvas”. Unusual, easy femininity, poetry, spicy, slightly powdered French romanticism are peculiar to all Hortensia jewels without exception. 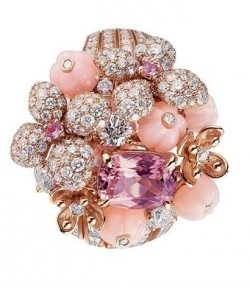 The Hortensia de Chaumet line shown in Paris is ranked by the highest jewelery class – high jewelery. However, in the future, according to the jewelry maker, Chaumet will also show more budget jewelery with the motif of a hydrangea flower. “These will be small rings, small earrings and necklaces, as well as our traditional bow and hair clips,” says Claire Deve-Rakoff.